Looking for 21st century knowledge about hypnosis and the truth about the changes it brings? Christine Green draws on her extensive training at the Florida Institute of Hypnotherapy, a state certified school of hypnotherapy. 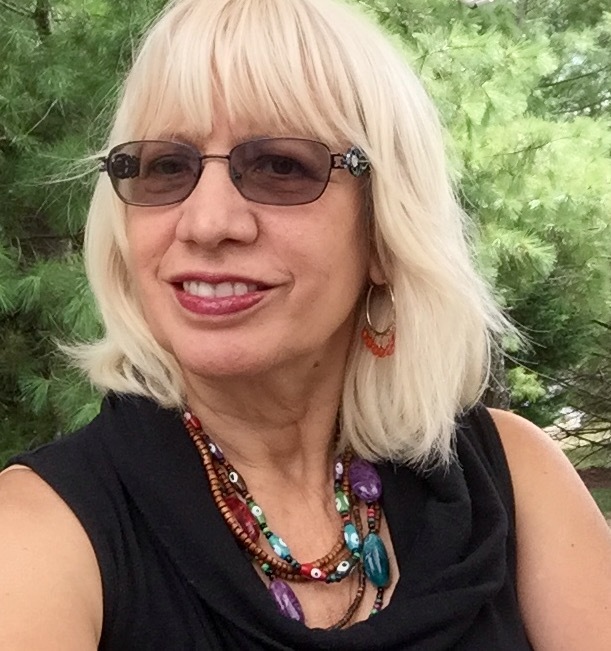 As a Certified Life Coach, educator MEd, business owner, wife and mother, she understands the unique problems facing the individual in today’s world. Her caring and compassionate approach combined with a practical goals oriented model leads her clients quickly to the change they need. 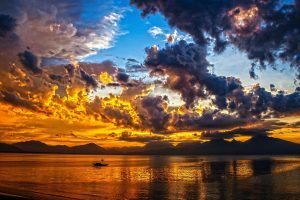 How can hypnotherapy help me with the changes I want? In guided sessions with Christine, a trained professional, you’ll quickly gain control over your thoughts, feelings and actions. You’ll become capable of handling your own issues in even one session. Christine’s goal is to help you get RESULTS as quickly as possible. With hypnosis, each time you experience it, you get closer to your goal as the sessions build on the previous ones. Soon you are your own hypnotist with the ability to access your own inner life independent and in control. Choose the professional services of Christine Green for the results you want! 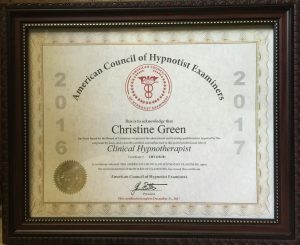 With her over 400 hours of training through a state certified school and now going into her 8th year of practice, Christine is continuously adding to her knowledge base with required CEU’s from her certifying organization. Christine is dedicated to the most advanced understanding of the human mind and its place in the mind/body/spirit complex. Her caring calm nature and intelligent insights into the human condition make her the right guide for your issues. It’s easy. Please fill out the contact form and Christine will set up an appointment for you for your initial phone consultation. During your consultation there will be a short intake with Christine to discuss your needs and how hypnosis can help. If we determine that hypnosis and hypnotherapy is correct for your concerns then a two hour session will be scheduled. Currently all sessions are now conducted on Skype. This enables you to relax in your own environment without the stress of work, traffic, and other distractions during the workday. Your time can happen during hours more flexible for your lifestyle. Then your first appointment will be a two hour session. Each succeeding session will last for approximately one to one and one half hours. Fill out the contact form to get help for solving your problems with no SIDE EFFECTS! The hypnotherapy sessions are relaxing with you generally feeling more confident and in control! With the contact form Christine will get back with you for your initial phone consultation. Your consult will last about 20 minutes. Be sure to leave your phone number! Do you know about Skype? Would you like to have a session but live out of the area of Gainesville? Are you wondering what that would be like? The world of Skype allows me to connect with you, hear your voice, and deliver the amazing suggestions personalized unique for you! You will receive professional attention to your issues, cares and concerns with a fully relaxing and guided hypnotherapy session. Whatever your needs whether it is weight loss, self-confidence, achievement, stress management, grief or loss or any phobia or fear you need addressed, let’s connect through Skype! Let’s get you moving forward with an amazing life! All Skype sessions are listed on the Fees page.